Merry Christmas! Hopefully you’re celebrating Jesus birthday through worship at church. Since we’re celebrating today, it might be helpful to get an accurate understanding of what the first Christmas ‘celebration’ was like. 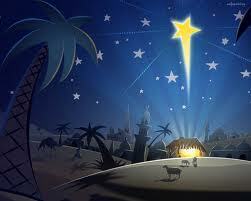 There are many misconceptions about the birth of Jesus. These myths were created through movies and songs that add to the information provided in the Gospels about Mary and Joseph’s journey to Bethlehem and Jesus’ birthday. Read through this list and decide which are part of Jesus’ birth story as told by the Gospels and which aren’t. This is all of the detail that we have about the first Christmas. Everything else has been added through extra-Biblical sources. Just take a look at the manger images on Google to see examples of illustrations with animals, star on the birth night and The birthday story itself really ends after #6 and the Bible isn’t even clear as to whether the shepherds found Jesus the same day he was born. The wise men clearly didn’t see Jesus until some time later (possibly up to two years given Herod’s decree) because Mary and Joseph moved into a house and Jesus is described as a child rather than as a baby when the shepherds found him. Not to ruin the classic picture any more, but one more point to note is that the Gospel stories make no mention of animals in the space where Jesus was born. For more details on the fact and fiction of Jesus birthday see common misconceptions about Jesus birth and nativity scene misconceptions. Jesus Through Middle Eastern Eyes by Kenneth Bailey and In the Fullness of Time by Paul Meier are good resources on this topic. They are the source of cultural background information. This entry was posted in Discipleship, Holidays and tagged The myth of Christmas, True Christmas story, What really happened on Christmas. Bookmark the permalink.